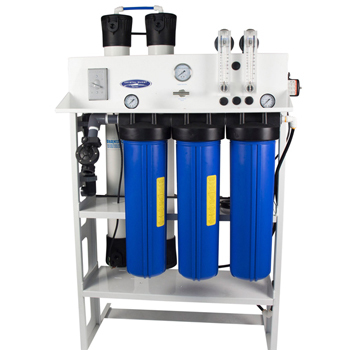 With Two large, 4"x40" commercial size membranes and a 1.5 hp motor, this unit is capable of producing up to 4000 gpd of purified water. Easy Maintenance & Operation: feature a compact design and have all of their components strategically located for easy access and inspection. Membranes: Two 4" x 40" TFC HF1 Membranes, for maximum rejection of impurities and high flow. Membrane Housing: Two 4" x 40" Champ membrane housings, Features a patented design and requires no tools for servicing. Pump: One Goulds 1.5 HP Multistage Pump and Motor, 110 or 220 Volts AC, 60 or 50 hertz. 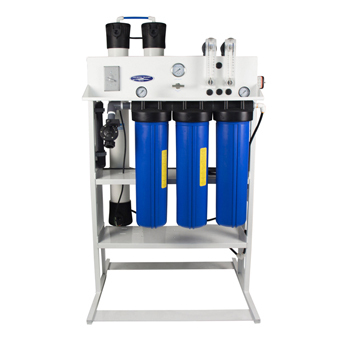 Sediment Filter: One 4.5" x 20" Big Blue 5 micron sediment filter, Removes sediments and protects the system. Carbon Block: One 4.5" x 20" Big Blue 10 micron carbon block, Removes chlorine, odor, and taste from incoming feed water. 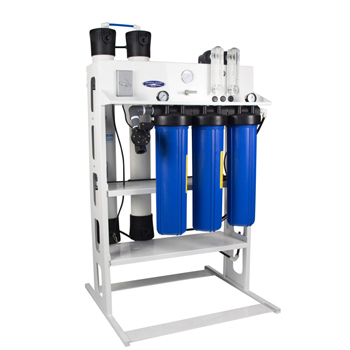 GAC/ERA multi-stage Filter: One 4.5" x 20" cartridge, removes multiple contaminants to preserve membranes. 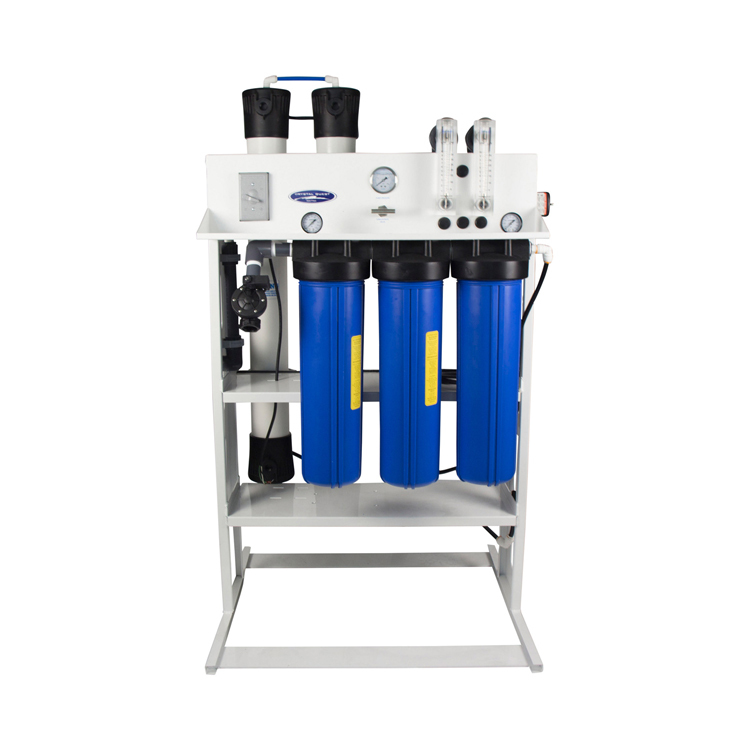 Filter Housings: Three 4.5" x 20" Big Blue double O-ring filter housings, Offers durability and improved sealing capabilities. Stainless Steel Housings: Two 4” x 40” PuroTech stainless steel membrane housings, 1/2” FNPT.